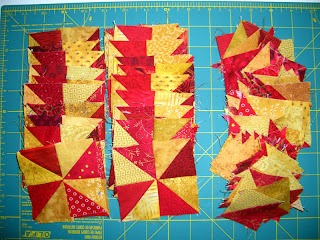 Kerry's Quilting: Desigh Wall Monday, December 30, 2013. Desigh Wall Monday, December 30, 2013. This week I am working away on catching up with Bonnie Hunter's mystery, Celtic Solstice. 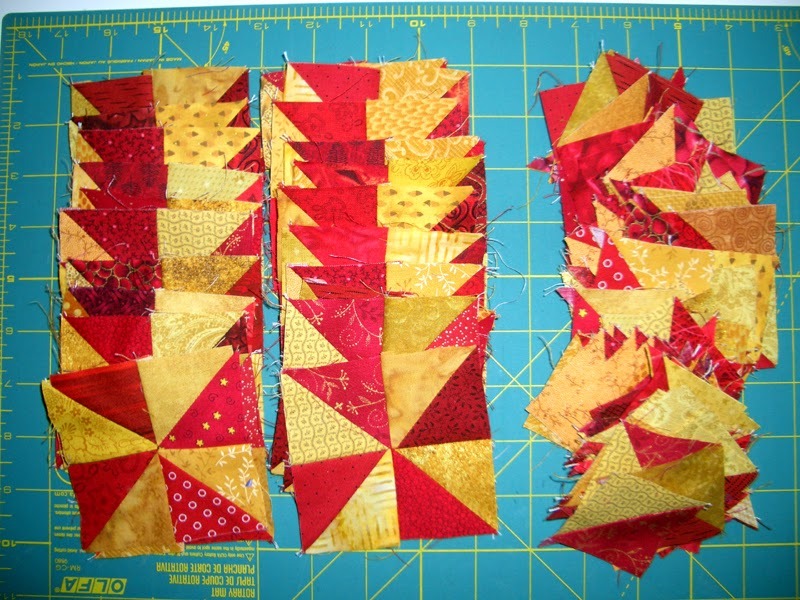 If you have not played along with Bonnie on one of her mystery quilts, try it out. It starts the week of Thanksgiving and goes through the end of the year, with a new clue posted every Friday. This year, has been a little tough for me to keep up, so I have many of the clues partially done. Below are parts of the different clues. 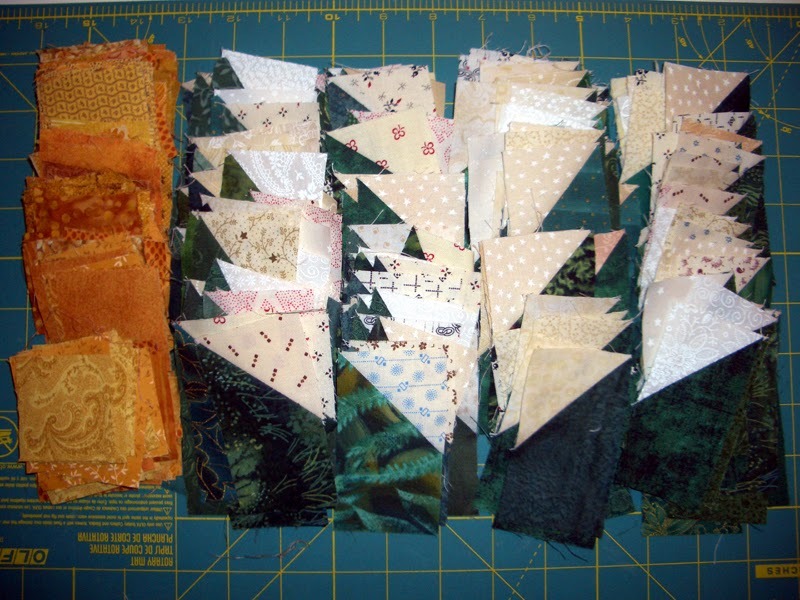 I have also chosen different colors than Bonnie's. 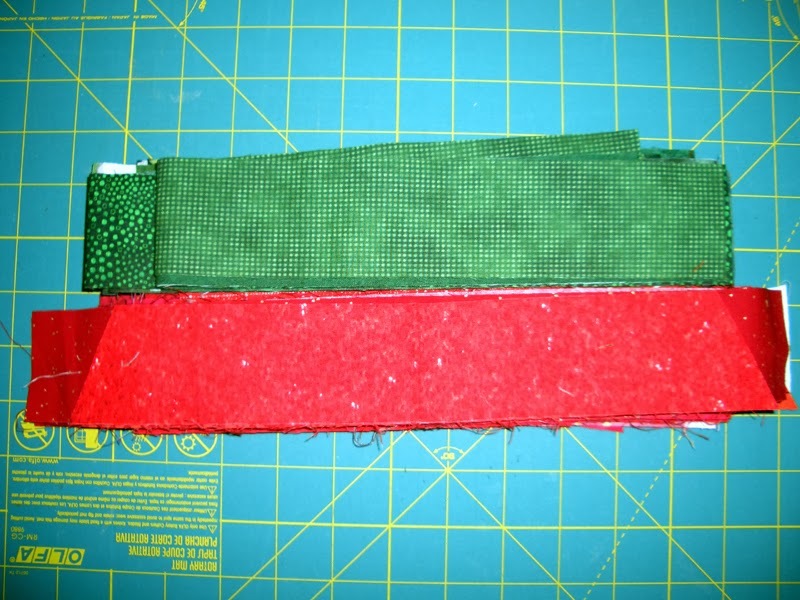 I am using Red-Gold-Purple-Green, instead of Orange-Yellow-Blue Green. 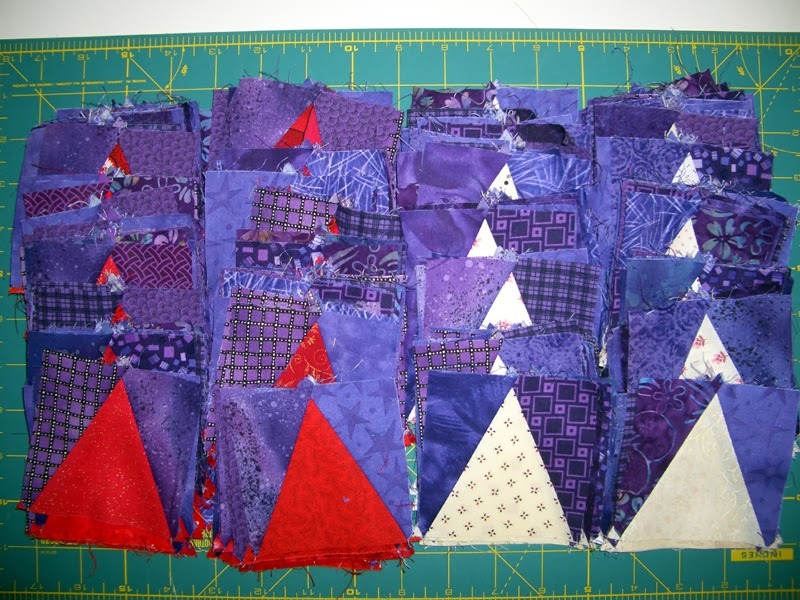 I am also trying to use all fabrics from my stash, though I did need to purchase a bit more of the green and purple. Clue 4 These strips will be 120 4 patches. 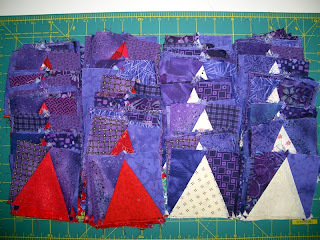 Clue 5 was released last Friday and will use the half square triangles from clue 3 with the purple and neutral. Will try to catch up this week in time for this Friday's clue. Wish me luck!